Resume tips, job search tools, career assessment, and other resources to kickstart your career. Pay tuition, testing and fees and purchase parking permits, insurance and more at the Spokane Community College (SCC) Cashier's Office. The SCC Multicultural Center celebrates diversity and community. 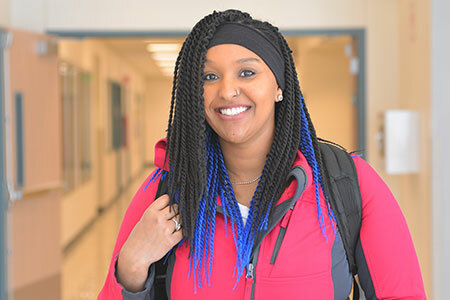 Resources funded by students support social, cultural, recreational, education and leadership activities and events that make Spokane Community College (SCC) students' overall college experience even better. SCC operates a food bank for students and their family or dependents. The food bank assists over 1,000 students per quarter. You must be currently enrolled at SCC. You need your current student ID and one additional piece of identification verifying your address, such as a driver’s license or state ID, SCC student schedule, or a utility bill. Complete or update your SCC food bank application for the current academic year. Monday, 10 a.m. - 4 p.m.
Tuesday, 1 p.m. - 4 p.m.
Wednesday, 10 a.m. - 4 pm. Thursday, 10 a.m. - 4 p.m.
Friday, 11 a.m. - 3 p.m. The Work Study program provides the chance for students to earn money while gaining work experience. It can provide some regular monthly income to help offset educational expenses and reduce loan debt. Work study is not a grant; you must work to earn it. Located in the lower level of the SCC Lair, the Game Cave is where students find entertainment and relaxation. Latest gaming systems and games and two arcade games are available. 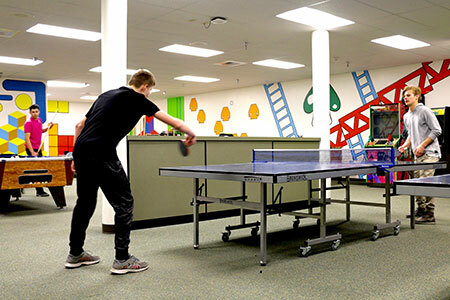 Students also have the opportunity to play billiards, ping pong, shuffleboard and foosball. Table top games, comic books, and Legos are in the Game Cave. You can reach the Game Cave by calling 509-533-7364.